The versatility of the Tentipi® Nordic tipis now becomes further enhanced, without compromising on any of the safety aspects that our tents are so famous for. The tent porch gives a dry entry into the tent and provides a place for shoes and other camping gear. Width: 6 ft. 10 in. Length Along Ground: 5 ft. 11 in. Packed Size: 6 X 10 X 20 in. When the apse is completely opened, there is still a rain protected area under the porch with a 180 degree view. A Tentipi® Nordic tipi has astonishing storm resistance due to its symmetrical shape and heavy-duty construction. Therefore we have not made the porch an integrated part of the tent but designed it to be easily attached and removed. This also makes it possible to reduce the weight. The versatility of the Tentipi® Nordic tipi is further enhanced with functions that also suit more stationary campers. Any rain water running from the tip of the tent is diverted from the door opening. It is possible to open up the apse completely which offers a 180 degree view. It can easily be removed without taking down the tent. It is an optional extra. 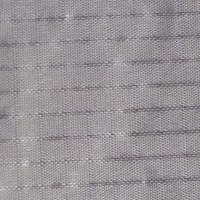 Lightweight ripstop nylon 6 fabric, PU-coated on one side. Carefully selected to be waterproof after prolonged use. The tent porch connector is necessary for tent models without a porch sleeve and makes it possible to attach the porch. On 2012 Zirkon and Safir tent models. A porch sleeve (PCT patent) will be standard on the 2012 Zirkon and Safir Nordic tipis. The advantage is that a porch connector will not be needed in order to attach a porch. It will look neater, be lighter and make the attachment easier. For the Onyx model and for all those customers who have already bought a Moskoselkåta or a Tentipi® Nordic tipi, a porch connector will be available. Click the button below to add the Tent Porch 9 - Light (Base) to your wish list.